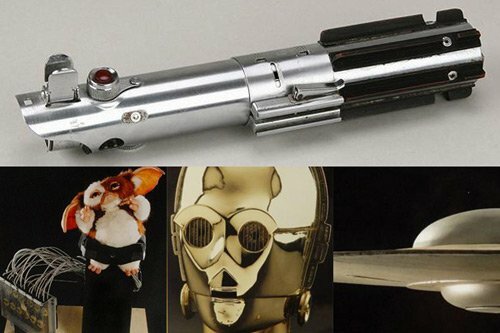 The orignal Lightsaber that was used by Luke Skywalker in the Star Wars ‘A New Hope’ and ‘The Empire Strikes Back’ will go on sale next month in a Hollywood Auction by auction house Profiles in History. The original Lightsaber was owned by Star Wars producer Gary Kurtz and it is sexpected to fetch around $185,000 at the auction. Other Star Wars items will be featured in the sale including the face and hands of C-3PO, which are expected to fetch around $83,000 and $30,000 each. There are some other really cool items up for sale in the auction, including the ‘Fedora’ hat worn by Harrison Ford in the second Indiana Jones film, and there is even the original ‘Gizmo’ puppet which features the animatronics from Gremlins.